It's hard to recommend the Lumia 625 especially since you have a great device such as the Lumia 720 available at a cheaper price. If you want to purchase a device under 20k running the Windows Phone OS, the Lumia 720 is a better package deal. If a large screen device is what you want, you have smartphones such as the Canvas Doodle 2, Xolo Q1000S and more at your disposal. Pick up the Lumia 625 if you're specifically looking for a large-screened WP smartphone. 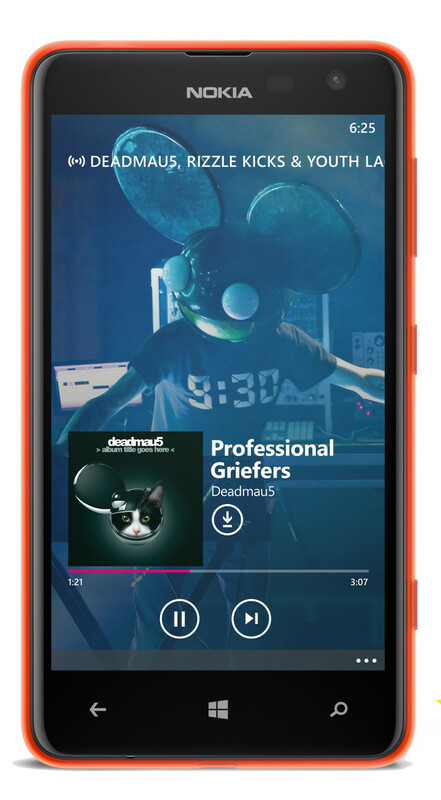 The Nokia Lumia 625 is a big, bright and colourful Windows Phone 8 handset. If you're looking for a 4G capable smartphone on a budget then this is a great buy. It has good build and performance but has limited internal storage and a mediocre camera. Nokia Lumia 625: Quality budget 4G phone ... but where's UK's budget 4G? There's plenty to like about the Lumia 625; another budget Nokia without the budget compromises that make Landfill Android™ cheapies such a rotten experience. But until the networks step up and offer 4G on a budget, it's going to be in that curious spot. But right now, the consumer proposition is this: if you want 4G, you have to pay a premium, and if you're paying a premium, you want a bit of diamond on your ring. While the MRP of the Lumia 625 is Rs 19, 999, you can find it online at varying price points depending on the colour you pick. We feel this is an expensive price for the phone especially since all you're getting is a larger screen, without any increase in resolution and important features which have been sacrificed. We would recommend the Lumia 720 over the 625 any day for its better display, NFC, better front and rear camera - all of this in a lighter and much more compact body. There's even support for wireless charging for those who want to get the most out of their Lumia device. So, does Nokia need another budget Lumia? Well, yes. We get what the company was trying to achieve with the Lumia 625: 4G on a shoestring. In that respect, mission accomplished. We can't help but feel, though, that Nokia hasn't quite nailed the niche that it set out to, leaving space for a similar budget offering that's LTE-capable, and better executed. It’s easy to be impressed with the Nokia Lumia 625 thanks to its colourful, replaceable shells, stellar performance and great build quality. The qualms with Windows Phone 8 are still lingering, though this could easily be sorted with a few high profile app release. We can even forgive the middling, low-res screen just because the device is priced at the low-end of the market. If you’re looking for a cheap, smooth running first smartphone, you can’t go wrong this latest addition to the Lumia line. Considering the 625's super affordable price, it is quite a decent phone, and buyers on a budget are unlikely to find a better deal anytime soon. This, combined with the fact that Nokia only recently released the even more affordable 520 and mid-tier 720 means we can't really see the 625 enticing too many new users to the Windows Phone ecosystem. Still for those on a shoestring budget looking for a big screen 4G smartphone, it remains a solid option.